Mother’s Day is May 8th and we have some great gift ideas for that special Mom in your life! Forgo the typical flowers and candy and give her something thoughtful and original this year. We have several new Italian made olive wood pieces that pair nicely with our award winning Olive Oil and (now two!) olive oil soaps. Add in a pack of our very own sunflower seeds, and your gift giving is complete! Choose from three Gift Set options (pictures and links below). Each has a special Mother’s Day price. Place your order before the end of Monday, May 2nd for this special pricing and Mother’s Day delivery. Order early because quantities of each set are limited. We can ship your gift, or we have pick up locations in Pleasanton and Livermore. Thank you, and Happy Mother’s Day to all the wonderful moms out there! Roy and I spent last weekend in Monterey at the California Olive Oil Council annual meeting. 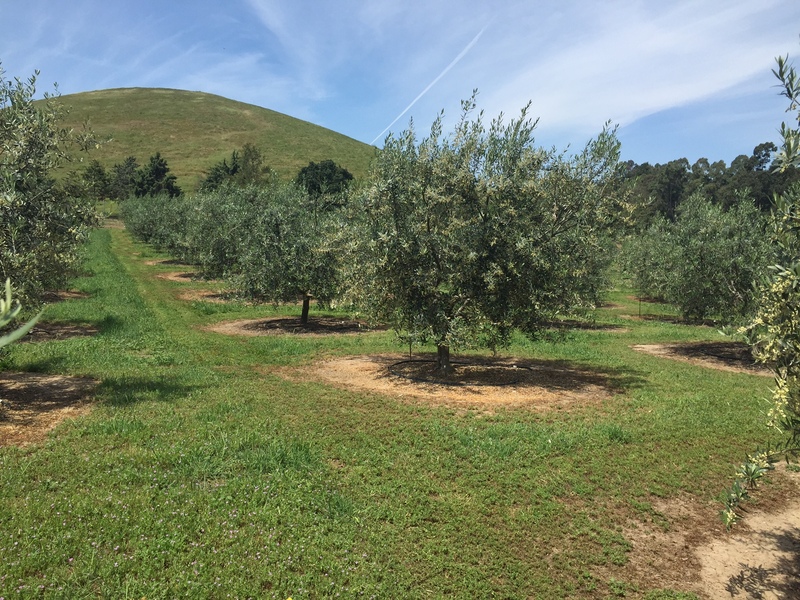 As a small grower we sometimes felt overwhelmed by the huge operators, but it didn’t matter if you had 100 trees or 100,000 trees because all in the industry want to see great things happen with locally grown olive oil. The panel discussions were led by a wide range of growers, marketing people, judges, retailers, and trade association leaders. Even the exhibitors offered a wealth of information. One sold hand held harvesting devices, which we bought and will try next harvest! Perhaps the best thing about events like this is simply meeting people. 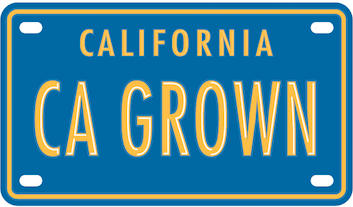 We had conversations with a UC Davis professor, a professional olive oil taster from Italy, a journalist from Modern Farmer Magazine, the executive director of California Grown, and the VP of the Speciality Food Association. It’s encouraging and fun to meet people who are passionate about quality food and great olive oil. D’Oliva is going to be an even better oil because of the things we learned. Of course it’s already GREAT and we continue to rack up awards despite our small production and limited history as producers. If you’d like to order oil, remember our signature 500 ML bottle is now priced at $25. You can order here and have the oil shipped, or you can pick it up at one of our two locations in Pleasanton (upstairs in the Hopyard Village) or Livermore (near Campo di Bocce). It’s always fun to watch the olive trees change through the seasons. This is the time of year when the fruit sets on the tree and we get our first inkling of the harvest size. The picture below shows how the buds have just recently turned into tiny little olives. From the looks of things it should be a great harvest. No guarantees just yet though! The recent California drought, a surprise storm, even those pesky gophers can all have an impact. The most important factor is definitely the olive fruit fly, which has destroyed many olive crops around CA and the world in the past several years. We’re working hard to keep any damage to a minimum. 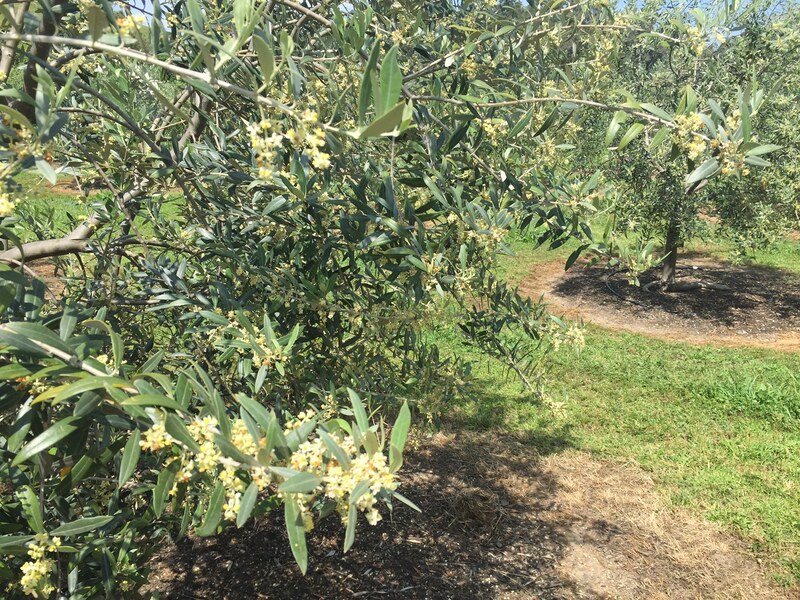 Olives are alternate bearing, which means a heavy yield is usually followed by a weak yield. Last year we had a small crop so we have high hopes for this November. Our inventory is unusually small due to the small harvest last year. If you want to make sure you get a bottle (or two) then order now before it’s all gone! We Won a Gold Medal! Can we shout that again? Our very first gold medal and we could not be prouder! Last year we submitted a bottle of D’Oliva to the California Olive Oil Council and we won a Silver Medal. This year we entered the process again. The olives were beautiful during harvest, but we still didn’t want to let our dreams get too big. Along with many other producers, we were judged for quality, taste, and overall excellence. And let’s say it again: WE WON A GOLD MEDAL! There were endless smiles and shouts of joy when we received the email notification. It’s so great to know our hard work is being recognized by outside experts. And the folks at the COOC are truly the top experts. We always knew the oil was good, but we’re thrilled to see others agree! Now is a good time to stock up. The oil is in short supply due to a small harvest, and with this recognition it is going to go fast. You can place your order at our online store. PS WE WON A GOLD MEDAL! Winter is definitely gone and Spring is here! We can certainly see this in the D’Oliva orchard as the trees come alive with new growth. Of course everything else in the orchard comes alive too! We are nearly done with weed control for the season. Thankfully (or unfortunately) the work was not as bad this year because of low rainfall totals. 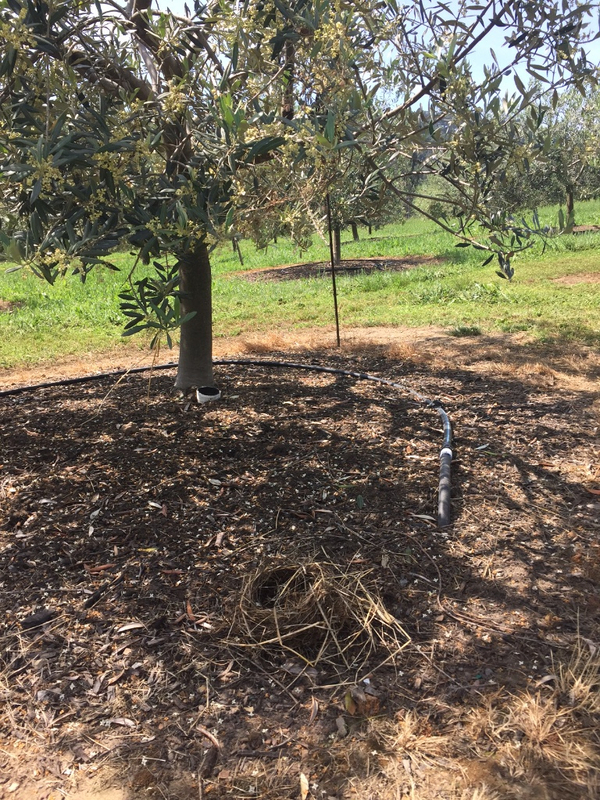 The pesky olive fruit fly becomes active about now and is a challenge throughout the olive growing world. Last year we lost at least 1000 pounds of olives to the little pest, so we’re trapping early and taking extra precautions this year. The gophers and squirrels also become active. They can harm a root system to the point of killing a young tree. So we’re being vigilant! Good things come alive as well! It’s routine to see turkeys, deer, coyotes, and other wildlife near the orchard (thankfully outside our eleven foot fence). It’s a birders paradise with raptors soaring overhead, the owls hunting in the early evenings, and plovers making their nests in the shade of our trees. We’re grateful to see the orchard thriving this Spring. The early buds on the trees are plentiful so we are looking forward to another great harvest. Even our younger trees are loaded. So the 2014 harvest looks promising! We have our wonderful 2013 (silver award winning…ahem!) oil still available. You can place your order here.